Keeping everyone on the same page can be a dull and difficult task. Emoji help liven up the process and provide clear, visual communication to all collaborators. 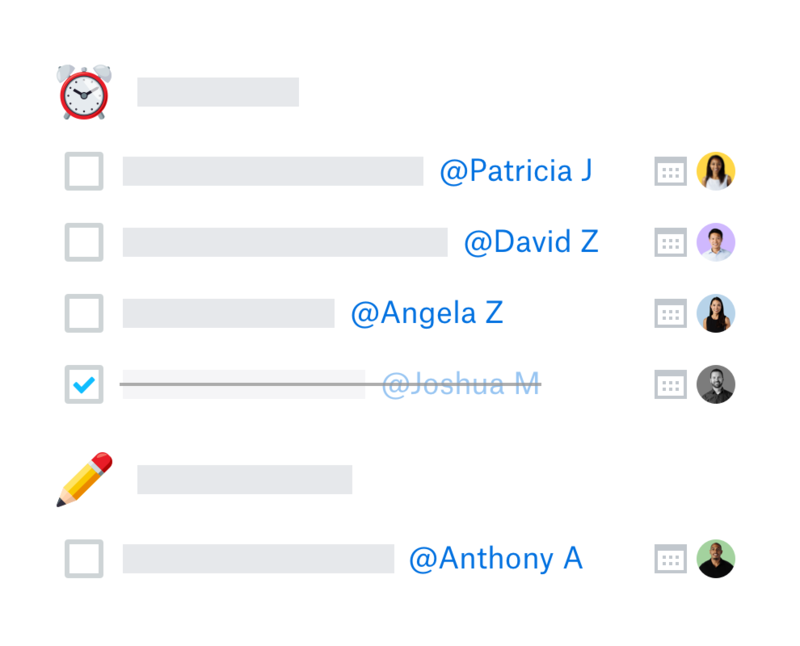 You can communicate with emoji using Dropbox Paper—a single space for creating content and collaborating with teammates. Simply add a or to show project work that hasn’t been done yet. Or drop in a next to every task that's been completed. You and your collaborators can see whether a project is on track, with just a quick glance. Trying to find exactly what you need when you have multiple browser tabs open can be a distracting waste of time. When you drop an emoji into the title of a Paper document, it will show up on that document’s tab. Give each document its own unique emoji to easily differentiate and move among several tabs. With Paper, it’s easy to inject a sense of fun and friendly communication into team collaboration. You can add emoji anywhere in your document or drop them into a comment. Sometimes you know what you want to communicate, but don’t know just the right emoji to use. Paper can help. For example, if you’re in a festive mood, simply type “:party” and see what comes up! Adding emoji to a Paper doc makes collaborating and sharing feedback more creative and conversational for everyone.